For most women, divorce is stressful, emotionally-trying and confusing. The future can seem uncertain, particularly with regard to financial portfolios and insurance policies, most of which seem to “run on auto-pilot” during the marriage. If you’re wondering what will happen to your health insurance policy, your life insurance beneficiaries and your social security account after you divorce, let me offer some guidance. While each divorce is unique and deserving of the attention of a qualified divorce team, here are some general answers to the three questions my clients ask most frequently about health insurance, life insurance and social security. Can I stay on my ex’s health insurance plan after we divorce? The laws regarding health insurance are straightforward, and the answer to this question can be summed up in a single word: “No.” Once divorced, you cannot stay on your ex’s health insurance –but your children can and probably should (although who will pay the premiums for them could be a topic of discussion). Maintaining health insurance coverage is a major concern for many divorcing couples, and in fact, it’s one of the main reasons why some couples now opt for a legal separation instead of divorce. But, if you do decide to legally separate rather than divorce, please tread carefully. Some health insurance companies view a legal separation as essentially the equivalent of divorce, and so they will not continue coverage for a separated spouse. Here’s the bottom-line: Do not take this matter lightly. Be sure to check with your health plan provider regarding their policies and restrictions. Health insurance companies have stringent requirements for when and how they must be notified of your divorce, and failure to do so could constitute insurance fraud. Your attorney can help your understand the laws as they apply to your specific case. Can my husband remove me as beneficiary of his life insurance policy? your divorce has been finalized. However, if you are in the process of getting a divorce, the answer is not so straightforward. For example, many states impose an ATRO [Automatic Temporary Restraining Order] on couples who are in the process of getting a divorce. This ATRO prohibits either party from changing beneficiaries, modifying accounts, selling or mortgaging property, etc., without the consent of the other party and/or the court. Dig a little deeper, and you’ll see that the issue of life insurance policies can become even more complex once the discussion broadens to include factors such as alimony and child support. Why? Because life insurance policies are often used to secure alimony and child support payments. In other words, if your ex-husband is the one paying alimony and/or child support, the court may require him to maintain a life insurance policy as a way to guarantee he will uphold mandated payments. The timeframe for this type of obligatory life insurance will vary, depending on the duration of the alimony and child support agreements. And that’s not all. I also advise my clients to consider life insurance from yet another angle. Once again, if your ex-husband is the higher earner who is paying alimony and/or child support, I highly recommend you purchase a life insurance policy on him in order to secure these important divorce settlement payments. This life insurance policy must be established BEFORE your divorce has been finalized, and you should be both the owner of the policy and the beneficiary –because that way you can be sure that the premiums will be paid on time and the beneficiary(s) won’t be changed without your knowledge and consent. Why life insurance? Remember: Most of your divorce settlement payments, especially alimony, will end upon the death of your ex-husband. The proceeds from the life insurance policy can ensure you receive a tax free, lump-sum payment of what you would have received over time from your divorce settlement payments. Why BEFORE the divorce has been finalized? If your husband refuses to cooperate in getting the required medical exam or if he is uninsurable due to health or other reasons, you need to know this before the divorce is finalized, so you can find an alternate way of securing your divorce settlement payments. Also, keep this in mind: Even if life insurance policies are not being used to secure alimony and child support, many couples revise their policies so that their children are the beneficiaries. If your children are minors, you can appoint an adult custodian to receive and handle the benefits on their behalf –or better yet, put the life insurance in a special trust called an ILIT [Irrevocable Life Insurance Trust]. I can only scratch the surface in this brief blog post, but I hope I’ve made it clear that life insurance is a very complex topic, and that the laws and regulations differ from state to state. Beneficiaries cannot be re-designated after the insured’s death, so please consult your divorce financial expert before proceeding, weigh your options carefully . . . and make sure all policies are kept current. If your ex “forgets” to pay his premiums, the entire policy could be at risk. 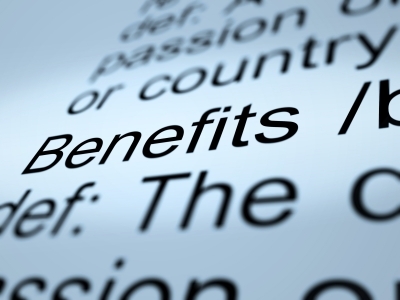 Am I eligible for a portion of my ex-husband’s Social Security benefits? You were married to him for at least ten years. You are not currently married. 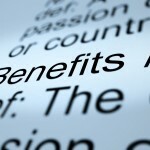 Your benefits do not reduce your ex-husband’s benefits in any way. If you meet the requirements above, your ex will receive 100 percent of his benefits, and the government will pay you 50 percent of the amount he receives, as well. Note: If your ex-husband predeceases you, you are eligible to the entire benefit. And, if your ex-husband dies, any of his children under the age of 18 (or 19 if they are a full time student) are eligible for benefits, as well. If you’re divorcing, it’s only natural for your thoughts to be swirling with questions regarding health insurance, life insurance and social security. Hopefully, the answers above will help you gain some needed perspective. Remember, when you’re divorcing, it’s critical for you get the facts so you can Think Financially, Not Emotionally® and achieve the divorce settlement agreement you need for a solid, stable financial future.